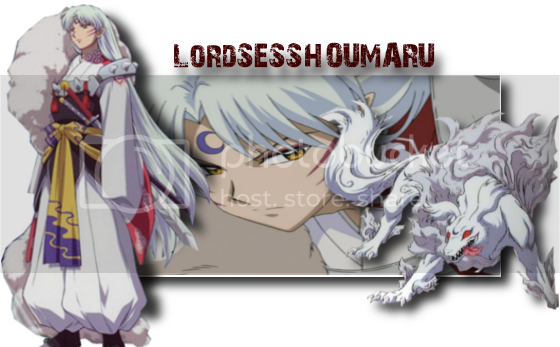 https://2img.net/h/i1178.photobucket.com/albums/x379/LordSESSHOUMARU-747/SessHouMaru.png Tian has long flowing white hair, as well as white robees instead of the black shinigami ones, he also has a gold and blue sash, and resting on the left shoulder is a stone shoulderguard with small spikes, on the right is a fur sash.He has a tattoo of a cresent moon on his forehead as well, this stayed as it was his mark of his gang before he died. Personality: his can bend upon what yours is like, but more often he is calm minded, thinking things out, if you are nice he will usually be that back, unless he sees through you trying to cover up or lie of something. If you are mean he will also be, and if you are being funny he may just throw a joke back, if you do manage to piss him off, he can be hard to calm down, but is usually calm and centered to those around him helping if he can in his own way. He almost never turns down a challenge either. And loves a good training session or spar. history: Growing up tian never had parents, and grew up within an orphanage,what he did not know was that his mother was devoured by a hollow. he had an older brother who always got in trouble without even trying, and seemed to take after him. Tian would get in trouble trying to help others always getting in fights for the right reasons, but still with it ending in trouble. The odd thing about him was that he was always stronger than he looked, being able to push past limits other regular humans couldn't. He noticed being able to push himself early on, and always did so learning to fight and getting stronger through excersise to the extreme. Later he joined a gang, and got his symbol, they were called Sǐwáng jīngxiāo shāng (death dealers), but most called them the star clan or gang, due to them all having a star on their body for their gang mark. He later became the leader of this gang, and it became larger one within the town. Soon a hollow cought him on the street, devouring him as he ran from an invisible fear. He was now sent to rukongai. 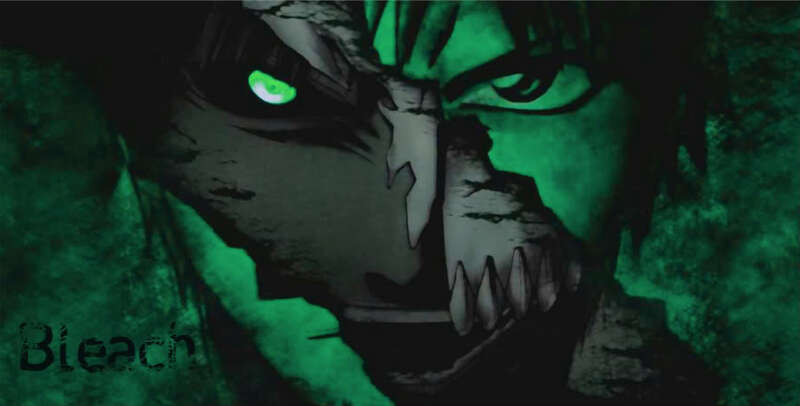 During whitch he was a part of the shinigami society, but also being have his mother devoured by a hollow had the trait of a hollow thus becoming a vizard. mask looks: my mask is a Bandage like mask form, covering most of my face leaving my eyes and mouth open. Full hollow form : http://static.desktopnexus.com/thumbnails/455738-bigthumbnail.jpg My mask has gone away when in ful hollow. Sealed State: It is a katana, normal length with a grayish hilt, its blade as a bit more of a curve to it though. His shadow from within his body becomes stronger, now being able to fully leave his body if it feels the want or need to do so, making a clone of tian. Also the reach of shadows is now 150 feet. Unhelpful injection: within the shadows of tian is a posionius injection that only tian is immune too, if he manage to cut somone, or even get a portion of his shadow into an open wound, the will numb that part of the persons body, the more deep or deadly the strike the more effective the numbing. The first Division Captain is the Captain Commander. Dracoss is currently the Captain Commander so you'll have to choose another position. sorry but I'm not going to allow you to have all Hollow abilities. You can have 3. Gran Rey Cero is off limits as well and no you cannot make a custom cero more powerful than a Gran Rey. 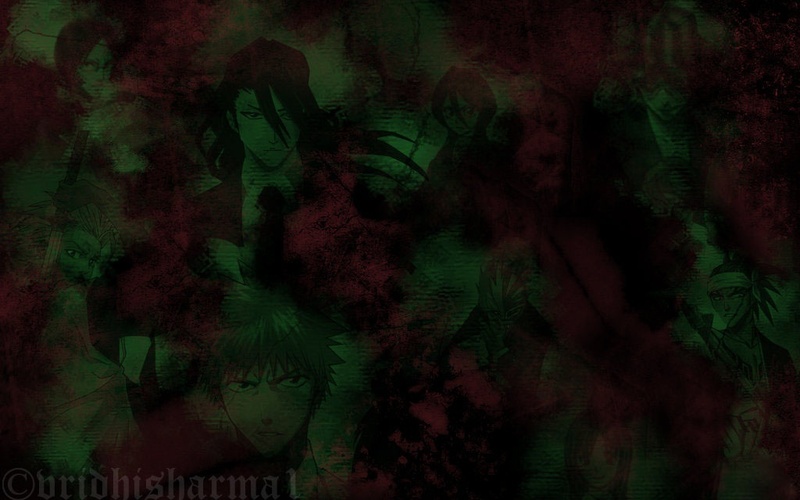 Only the Espada can use Gran Rey Cero.